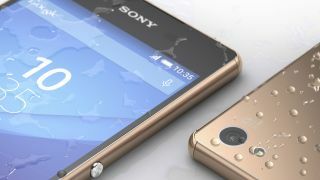 Sony Xperia Z3+ release date: where can I get it? You'll be able to get your hands on the Sony Xperia Z3+ from June 26, but if you want to make your intentions known early it's available to pre-order. The Xperia Z3+ (known as the Xperia Z4 in Japan) is an incremental upgrade over the Xperia Z3 with a slimmer body, less weight, 5MP front snapper, uncovered microUSB port and a new Snapdragon 810 chip under the hood. You can now pick up the Xperia Z3+ from Carphone Warehouse, with the retailer offering the handset in black, white and ice green - the latter of which it has exclusively. There's an added kicker for anyone buying the Xperia Z3+ from Carphone, as it comes with a Hi-Res Audio package which includes pair of HQ audio Sony headphones, 90 days free music streaming on Tidal and six Hi-Res audio albums. Pay £59.99 up front and you'll get the Sony XPeria Z3+ on a two year deal at £31.99 per month. If you don't want to pay anything up front you're looking at a monthly outlay of £40 and upwards. We're yet to get word from some of the networks on whether they'll be stocking the Sony Xperia Z3+. We'll update this page as we get more information. O2 has announced that you'll be able to get the Xperia Z3+ on its Refresh tariff, which means O2 customers can upgrade to the new handset early, they just need to pay off the remaining value of their handset. O2 will be offering the Xperia Z3+ in Black, but we do not have any further details yet, though O2 promises the handset will be available "in the coming weeks". Fancy getting your hands on the Sony Xperia Z3+ SIM-free? Well Unlocked-Mobiles currently has the Z3 Plus on pre-order for £544.98. That's not cheapest SIM-free price around at the moment though, with Clove touting the Z3+ for £529.99. Both sites expect stock to arrive on June 22.